How to re-do an old repair. This type of repair depends on what glue was used but usually works for me. Wrap the ceramic piece in an old tea towel, tie with a loose knot. Place in just simmering water, heat on lowest setting. Leave it for at least 3 minutes with the temperature just under boiling point (occasional bubble rising up). 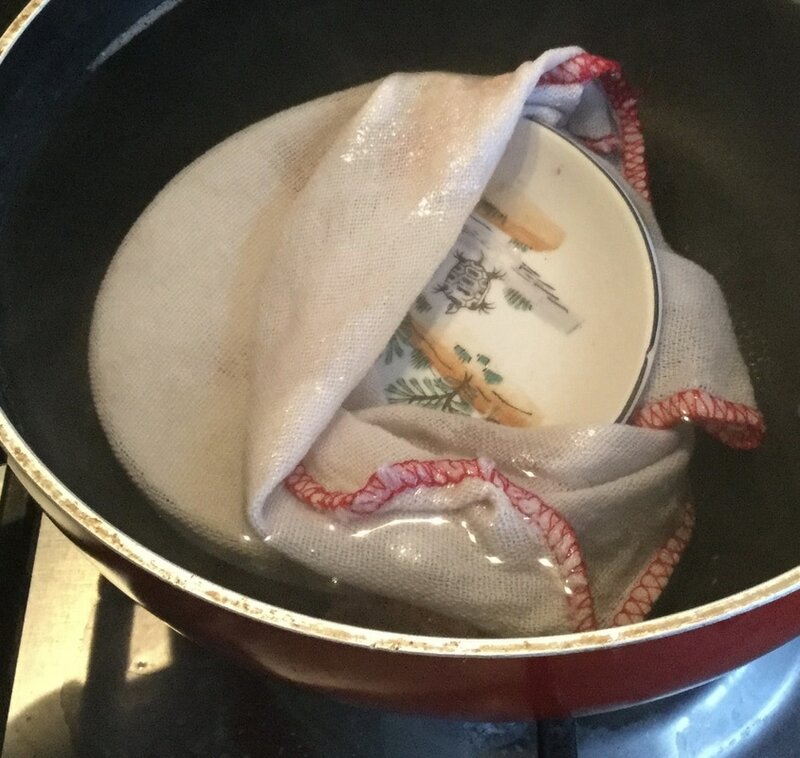 Remove from hot water with tongs and unwrap. Using gloves pull the old joints apart quite forcefully while still hot. Repeat all steps several times as necessary. Remove old glue while it's still hot or use acetone when cool. 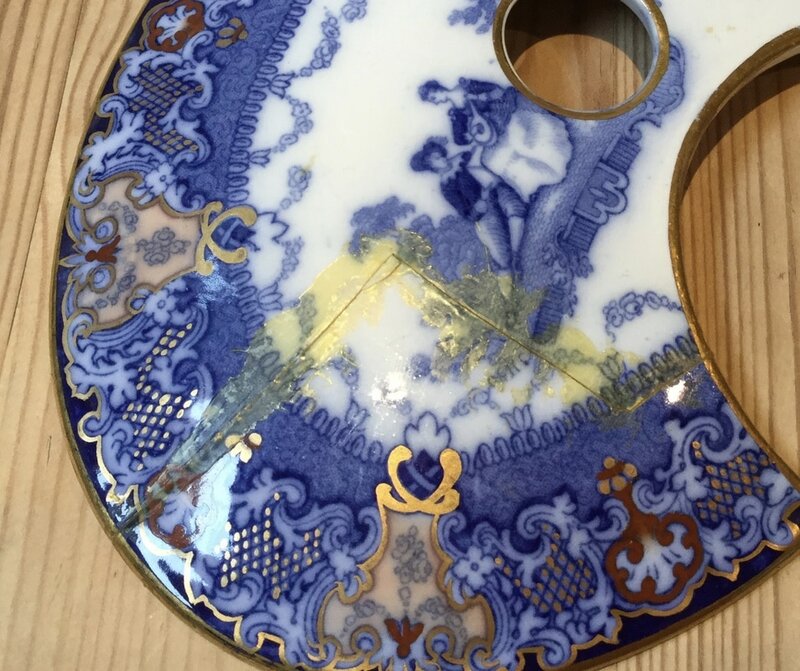 ​This method is not suitable for porcelain and antique ceramics as glazes are likely to be damaged. You can try just leaving it in hot water if it is delicate porcelain.